Is your job literally “suffocating” you? How commonly do we think about people’s jobs when diagnosing asthma? Would you think to include what you do for a living when telling your doctor about your wheezy chest? So what is occupational asthma? Occupational asthma differs from work-exacerbated asthma in that it is an immune reaction to substances you have inhaled at work. The immune reaction causes narrowing of the airways leading to a wheezy chest. Approximately 400 of these substances, called “respiratory sensitisers” are recognised within the work place. For example, wheat flower may cause debilitating symptoms in bakers, and the proteins in animal fur or waste may cause them in laboratory workers; those working in garages with paint sprays or inhaling colophony fumes whilst soldering could also be affected. Symptoms are those usual to asthma (cough, tight chest, wheeze) with the exception that you often get a runny, itchy nose called “rhinitis” before getting chest symptoms. Diagnosis can be made challenging by a long interval from stimulus exposure to bodily response – approximately 6-18 months in some cases. Prognosis for occupational asthma is best if its dealt with early, yet significant delays still remain between presenting to the doctor and specialist referral.4 With most employees in the UK not having access to an occupational health provider, GPs are essential in helping diagnose the condition. Two quick and easy questions have been shown to have a high sensitivity in identifying patients with occupational asthma: “Are you better on days away from work?” and “Are you better on holiday?”5. Get the diagnosis right and the impact is immediate. Removing the work exposure removes the symptoms and your airways return back to normal. Delay the diagnosis however and the picture may become one of treatment resistance and progression to longer-term breathing problems. It is important for all employees to declare any respiratory conditions in their pre-employment questionnaire and to seek advice from your employer, GP or occupational health provider should you begin getting asthmatic symptoms that are worse at work. Once a diagnosis is made, a return to work depends on work-place circumstances. In some, eliminating the risk by removing the inhaled agent altogether may be possible. In others, the exposure risk may be limited by extractor fans or by using personal protective equipment such as a mask or respirator. These options may not always be possible however, and up to a third of patients are unemployed for up to six years after diagnosis.6 Such patients may be eligible for industrial injuries disabilities benefit. 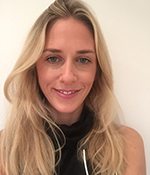 Dr Anna Cantlay is a GP who has recently completed the occupational health diploma.